Name of the Recruitment Authority Konkan Railway Corporation Limited (KRCL). Name of the Job Role Trackman, Assistant Pointsman & Other Posts. Total Number of Vacancies 100 Jobs. Advertisement Issue Date 17th August 2018. Start Date to Submit Application Form 17th August 2018. Final Date to Submit Online Application Form 16th September 2018. Admit Card Release Date Updated Later. KRCL Exam Date 2018 October 2018 (Tentative). An Employment Notice under Railway Jobs was publicized on 17th August 2018. Konkan Railway Corporation Limited (KRCL) has planned to welcome online job applications to fill unfilled vacancies. 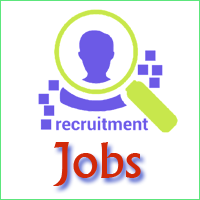 Furthermore, KRCL Recruitment 2018 is having Trackman, Assistant Pointsman & Other Jobs. In addition to this, Konkan Railway Trackman Recruitment 2018 has a huge number of 100 Job Vacancies. However, Contenders are recommended to check the eligibility details which comprise of the required qualifications and age limit and verify your proficiency. KRCL Recruitment 2018 Apply Online @ konkanrailway.com and KRCL Online Application Form link will activate on 17th August 2018. You can make a visit to the following sections which conveys you information about the selection procedure, application fees, KRCL Salary, important dates, etc. As a result, Konkan Railway Recruitment 2018 Online Application link will deactivate on 16th Septemeber 2018. However, you can apply for Konkan Railway Jobs as early as possible to avoid facing server issues. Konkan Railway Corporation Limited (KRCL) is having 100 Trackman, Assistant Pointsman & Other Job Vacancies. Furthermore, interested candidates can go through the requirements and apply before the closing date. Contenders should have passed Class X Examinations with qualifiable marks from a recognized institute or University. Upper Age Limit – 33 Years. KRCL Vacancy 2018 consists of Trackman, Assistant Pointsman & Other Posts. Konkan Railway Online Application Form 2018 is available from 17th August 2018 the last date to apply for KRCL Jobs is on 16th September 2018. Level 1 to 7th CPC Pay Matrix + allowances. How to Apply for Konkan Railway Trackman Vacancy 2018? It is essential that you correctly fill an application form with proper details. Therefore, in order to help you out, I have explained the application procedure in the points below. However, apply for KRCL Jobs on or before 16th September 2018. When an official homepage is displayed, go to the Recruitment section and click on Current Notification. Select Konkan Railway Trackman Recruitment 2018 Notification and open it. Then, go through the rules and regulations given in KRCL Recruitment Notification 2018. Also, check for eligibility with the mentioned educational qualifications and age limit. If you have satisfied the requirements, then click on KRCL Recruitment 2018 Apply Online link. Fill all the details in Konkan Railway Online Application Form 2018. Upload the scanned copies of signature & passport size photograph. Make a payment of application fees with the help of online channels. Finally, take a print out of fees receipt and filled the KRCL Online Application Form for further use. Release Date of Advertisement 17th August 2018. Initial Date to Submit Application Form 17th August 2018. Closing Date to Submit Online Application Form 16th September 2018. Hall Ticket Issue Date Updated Later. Konkan Railway Exam Date 2018 October 2018 (Tentative). Aspirants, the details provided in the above sections which explain you about Konkan Railway Trackman Recruitment 2018 is just a glancing info. Furthermore, contenders can gain detailed knowledge about KRCL Trackman Recruitment 2018 from its official notification available @ konkanrailway.com However, you can download KRCL Advertisement Notification 2018 from the link given below. Finally, for more latest updates frequently make a visit to Employment Alert and also go through the Syllabus, Admit Card, and Previous Year model papers.